Websites are competing for the same customers. Is your website bringing in as much traffic as your competitor’s websites? Do you want to know how they drive traffic to their websites? It’s not hard to stay ahead of the local internet marketing websites if you know what tools you need. Using the proper components on your website will ensure repeat customers. A professionally designed website is a major strategy in driving those customers to your products. First, with a little research into the local Internet marketing websites you can understand what it they are doing right. Take notes on how the website looks, what seems to be working and what you need to change on your website. What type of information is available on the competitor’s website? Is the content more relevant then your own content? How often is it updated? Contact information is important to have on an legitimate website. Is their contact information in a prominent location on the website? What types of social media options are available and do they have email subscription options? These are the types of questions to start with to determine exactly what needs to be changed on your own website. Be careful that you are not copying your competitor’s website content. Checking up on your competitors is great for keeping up with competition but you want to stay on the ethical and legal side of things. Use the information for insights on how to make adjustments to your own website to bring in more traffic. While it may seem overwhelming to keep track of competitor’s websites it really isn’t difficult. 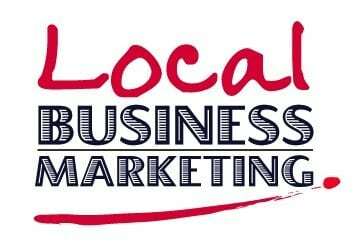 There are online tools that help research local Internet marketing across the web. These tools assist in finding out how much traffic a site has and where those visitors are coming from. There are online tools that determine what keywords are being used for SEO by websites and where backlinks are originating from. Blogging has become a great way to drive traffic. Know where you competitors are blogging. Are they using their own website to blog or guest blogging on other related sites. Are they using videos to attract traffic and if so how are they using them. Videos have become an integral part of websites. Knowing your competitors and what is working for them will assist your own website’s growth. It will help to keep you motivated to be on top of the game competing for the local Internet marketing avenues.